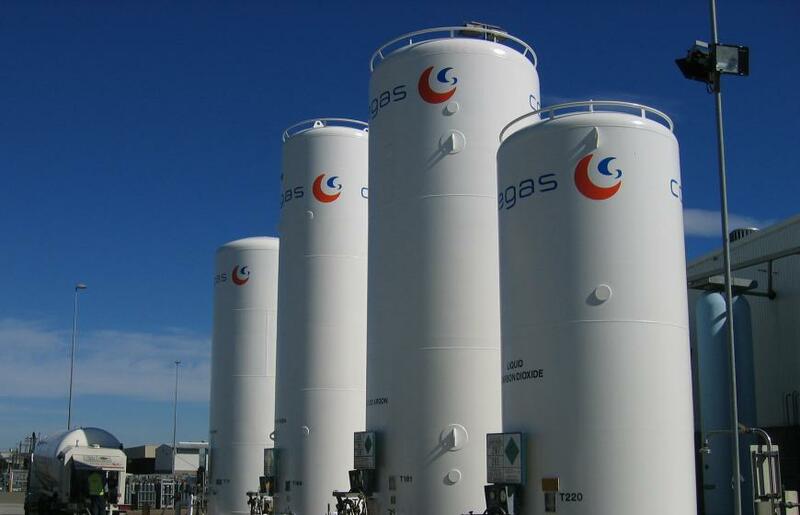 Coregas products are available in a range of sizes from single C-size cylinders to large bulk storage tanks designed to supply gas via reticulated gas lines direct into your application or throughout your site. IMPORTANT: Cylinder sizes and weights vary widely from cylinder to cylinder and depending on the gas type, volume they contain and fill pressure. It is therefore important to note that all dimensions and weights in the tables below are approximate values only. Weights are for when the cylinder is filled with gas. If filled with liquid, they will weigh more. These consist of groups of 6, 12 or 14 cylinders housed in a specially-designed pallet and frame with the cylinders connected together with a manifold. This enables your application to draw gas from all the cylinders using only a single connection to the manifold. Cylinder packs are a great way to reduce downtime from swapping cylinders over because you use the volume from all 6, 12 or 14 cylinders before needing to swap to a new pack. For more about bulk storage and equipment, download the Microbulk and Equipment brochure below or get in contact.